Ater the FDA approved Invokana (canagliflozin) in 2013, many thought it would be the miracle cure for patients with type 2 diabetes. However, the drug’s success so far has been marred by many reports of life-threatening side-effects and high-level FDA warnings. If you or someone you love has suffered serious side-effects after taking Invokana, you deserve just compensation for your health care bills and pain and suffering. McIntyre Law is a compassionate and capable law firm that’s on your side. That’s why we spend time getting to know you and your specific needs. At McIntyre Law, you’re part of the team, which is why we operate on a contingency fee basis. We don’t get paid until you do. Is there currently a class-action Invokana lawsuit? There are currently no Invokana class-action lawsuits formed, but the District Court of New Jersey is currently combining a thousand individual lawsuits into one multidistrict litigation. Plaintiffs claim Johnson & Johnson omitted serious side-effects of Invokana. It’s unknown yet whether these side-effects are limited to Invokana itself or whether they can be attributed to all SGLT2 inhibitors. If the second possibility proves to be true, litigation could expand into multiple class-action lawsuits involving hundreds of thousands of plaintiffs and other SGLT2 manufacturers. A class-action lawsuit would work by organizing thousands of individual cases into one large legal suit. Class-actions simplify the litigation process by choosing one or a few plaintiffs to represents a much larger group of people with similar claims. Any compensation awarded would be divided up among all plaintiffs. Future Invokana class-action lawsuits will involve patients living in every corner of the U.S. At McIntyre Law, we’re dedicated to fighting for victims wherever they live. We’re proudly Oklahoma-based, but that won’t keep us from personalizing your experience —wherever you call home. Our firm’s owner, Noble McIntyre is always close by to go over your case and to answer your questions. If you’re thinking of filing an Invokana lawsuit, you need to be prepared to go up against large corporations like Johnson & Johnson. These companies bring massive amounts of legal resources to court, and they can easily overwhelm victims who try and handle their case alone. That’s why hiring a professional Invokana attorney is the smart thing to do. As the plaintiff, you’ll need to prove your claim against the manufacturer, and they will scrutinize every inch of your case. Any discrepancy of your paperwork will end up weakening your case—and lawsuits are full of paperwork. To prepare your case, you’ll need to gather your medical records, which can be tricky because Federal law doesn’t set a timeline for how long medical providers must keep patient records. Instead, times vary by state. You will also need to file a court petition that outlines your claim and serve the defendant with an official summons to appear in court. But McIntyre Law will make sure all of your legal documents are prepared correctly and delivered on time. More importantly, we’ll help you level the scales of justice by meeting big pharmaceutical companies with a legal team equal in experience, expertise and resources. Every state has different time limits for bringing an Invokana lawsuit. Most state laws start the time at the moment when you knew or should have known about your injuries. But time frames also depend on the nature of the claim. For example, the Invokana lawsuit in New Jersey claims Janssen Pharmaceuticals (a subsidiary of Johnson & Johnson) “willfully and intentionally” failed to warn patients about possible side-effects. If proven, the company could be liable for fraud and the statute of limitations may be extended. Overall, it’s best to call an Invokana attorney to determine an accurate time frame for filing your suit. What compensation can I get from an Invokana lawsuit? The manufacturer of Invokana is being accused of intentionally withholding warnings of possible life-threatening side-effects from physicians and patients — a claim Janssen Pharmaceuticals has heard before. At McIntyre Law, we’re on a mission to hold corporations accountable for such willful negligence and to help their victims get the justice and compensation they deserve. Do you have a case for an Invokana lawsuit? If you or a loved one are experiencing side-effects after taking Invokana, you may have adequate grounds to file an Invokana lawsuit. These side-effects carry life-threatening risks like myocardial infarction (heart attack), ketoacidosis, or kidney failure, so it’s important you don’t ignore them. After contacting McIntyre Law, you’ll know whether you’re eligible for an Invokana lawsuit. You have nothing to lose and everything to gain. Winning your case and getting compensation is well worth a short call. Let us join in your fight for justice and compensation against Invokana manufacturers. Janssen Pharmaceuticals (Johnson & Johnson) is currently facing a multidistrict lawsuit consisting of a thousand plaintiffs. These victims claim the company intentionally withheld important information about potential complications like ketoacidosis, amputations, and acute kidney failure in patients. Some Invokana users have undergone removal of their legs, feet, or toes. In some cases, on both sides of the body. Commonly known as a heart attack, myocardial infarctions occur when blood flow decreases or stops to part of the heart. The raising of ketones in the blood or urine to dangerous levels. Symptoms include nausea, vomiting, fatigue, or trouble breathing. 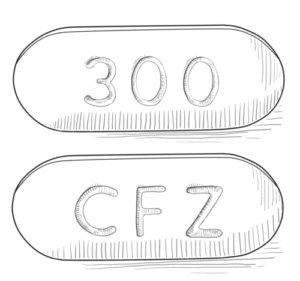 From 2013 to 2015, the FDA received reports of 101 confirmable cases of acute kidney injury, some requiring hospitalization and dialysis. The FDA warns of the increased risk of bone fractures from a decrease in bone density material. Despite serious safety warnings issued for Invokana, neither the FDA nor Johnson & Johnson have yet issued recalls for the drug. The legal investigation is still in its early stages, and multidistrict litigation is currently underway. Ever since it approved Invokana in 2013, the FDA has continued to closely monitor the drug’s safety as patients and physicians report more potential side-effects. (May) Janssen Pharmaceuticals submits FDA application for Invokana approval. (January) FDA Advisory Committee recommends approval of Invokana. (March) FDA approves Invokana to treat type 2 diabetes. (September) FDA revises label of Invokana to include updates on bone fracture risk. (December) FDA warns SGLT2 can cause ketoacidosis and urinary tract infections. (May) FDA warns of increased risk of leg and foot amputations for Invokana users. (June) FDA strengthens kidney injury warnings for Invokana, Farxiga, and Xigduo XR. (December) District of New Jersey court creates MDL for Invokana lawsuits. (May) FDA confirms increased risk of leg and foot amputations for Invokana. How was Invokana approved by the FDA? 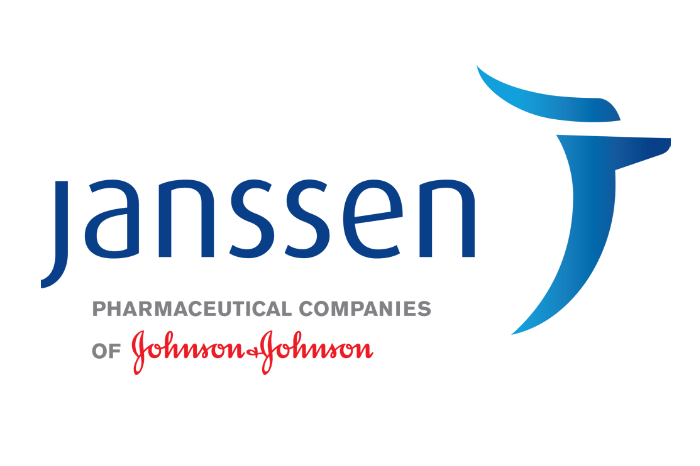 Janssen Pharmaceutical first submitted Invokana for approval to the FDA on May of 2012, after a Phase 3 clinical trial with over 10,000 patients. A year later, the agency approved the drug to treat type 2 diabetes. But in 2015, Invokana was listed in a warning that SGLT2 inhibitors caused ketoacidosis and urinary tract infections. That same year, Invokana was singled out after the agency warned of the drug’s connection to fractured and broken bones. However, Johnson & Johnson’s drug was yet to hit its biggest obstacle, which came in 2017 after the FDA announced it confirmed that the drug was causing leg and foot amputations. Since them, victims and their families have filed lawsuits and multidistrict litigation to recover damages from the side-effects and complications of Invokana. If you’ve been injured by Invokana, you may have a limited time to file your claim. Contact McIntyre Law to speak with an Invokana attorney today!